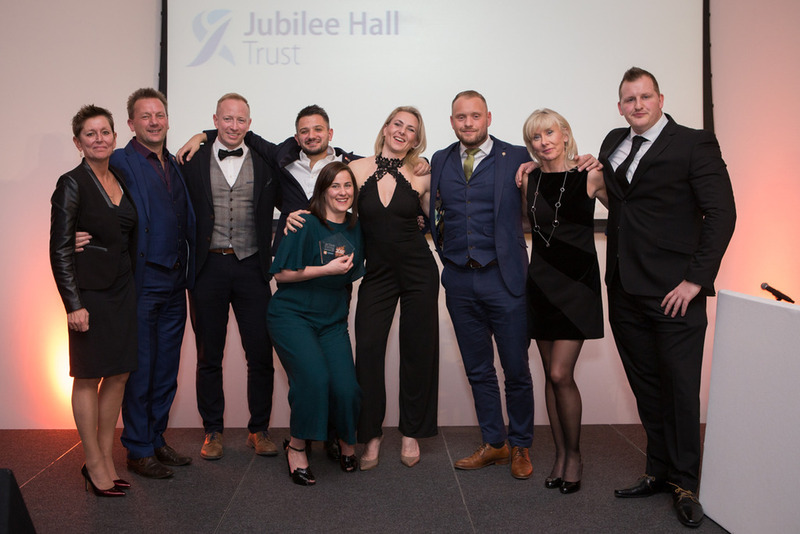 On Wednesday 30th November, UK Active revealed the winners of the coveted Active Training Awards at a glittering ceremony celebrating the leading lights in physical activity sector learning and development, and Jubilee Hall Trust (JHT) won the Outstanding Achievement award! More than 250 delegates from the physical activity sector gathered at the Reading Hilton for the Active Training Conference and Awards, sponsored by Active IQ. The event was the culmination of three months of rigorous assessment by an independent judging panel, and the awards were presented by James Pearce, TV presenter and broadcaster for BBC Sport. In making the award to JHT – who were also winners of the Small Employer of the Year category last year – UK Active said that the charity had demonstrated exceptional performance and commitment to vocational education, and the training and development of its people. The award was a particular triumph for HR/Office Manager, Louise Sharp, who only joined JHT 6 months ago and was responsible for putting together the company’s entry and leading the presentation to the panel of judges.